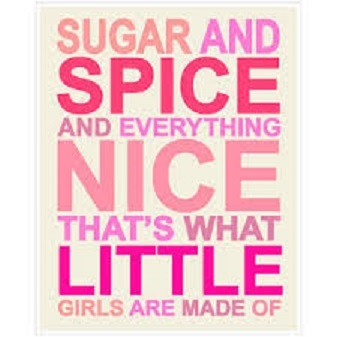 Sugar and spice and everything nice – he he! What a old fashioned, and no longer a politically correct, statement. But then again if any little girl was made of sugar and spice and everything nice – it was me. I was born a pleaser. A good little girl who didn’t sass my parents, or anyone. I did as I was told. I did everything any good little girl would do to try to make ones big brother happy. In reflection I realize how silly and futile that was. Never ever at any point in my life has my big brother responded in kind. Never has he been there for me. Never has he had a kind word for me. But I still tried until I couldn’t do it anymore. 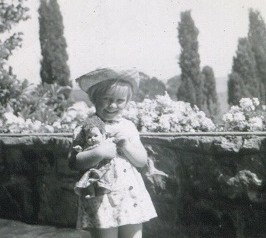 I was there for my mother; in fact I was the mother and she was the child. I defended her, I ran around silly trying to make things better for her. She could not give it back. I was terrified of my father too. I jumped when he said jump. I watched how charming he could be on one hand and down right cruel on the other hand. I never new which end was up. I never new if it was going to be the good guy or the bad guy. My head spun in confusion most of the time. When I went to boarding school I was initially happy to go but then realized I couldn’t cope with that either. In retrospect I realize now I was dyslexic but there was no knowledge around at that time vis-a-vis learning disabilities. I was so confused I used to crawl under a small building (no basements at that time in South Africa). It was dark and I would sit there for hours crying. Again, looking back in a country that has ‘black mamba’ snakes, a highly venomous snake, could very well have been sharing that space. Something was watching over me. Then, I realized something about myself. Tucked away in my psyche was a spark. I knew something was amiss in this story of mine. Something didn’t feel right. I was taught to be respectful and polite; and still am. But, I had a strong sense of what is right and decent. Despite my shyness and lack of confidence I started to stand-up for what I perceived as being injustice. Not just injustice to me but more often than not what I new to be unfair, prejudice and discrimination towards others. The advocate was born. Remember I was raised in South Africa until I was 12. I lived through the Apartheid and although I grew up with servants and a father that endorsed this form of government I knew in my heart of hearts this was wrong. To this day in many many ways I would just as much prefer to quietly live my life. I am not particularly social and have learnt to hone my survival skills on my own. However, when I see and/or experience abusive behavior I will assess the magnitude and consequences to whom ever is involved and stick my neck out if it is necessary. It’s not easy for me. It makes me shiver in fear, makes me want to hide and crawl under something but regardless I will take whatever action that is available to me to rectify and draw attention to the bullies of our communities. Watch out bullies here I come! ← I like to be deliberate…..
Hardships often make you a stronger person, a better person.